In addition to Christmas trees we also offer a wide range of Christmas tree decorations, tree stands, beautiful handmade festive wreaths, table centres and garlands. If you are unable to take your tree home we offer a delivery service for a small charge. Within a 10 mile radius – just £5, 10 to 15 miles – just £10. 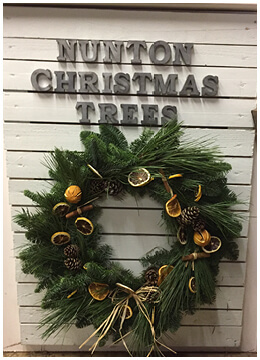 At Nunton Christmas Trees we sell fresh cut, and pot-grown Christmas trees. We source them from the best plantations in Scotland and Denmark. All trees are graded in the fields and we only select ‘premium’ grade trees, meaning you are sure to be pleased with your tree. 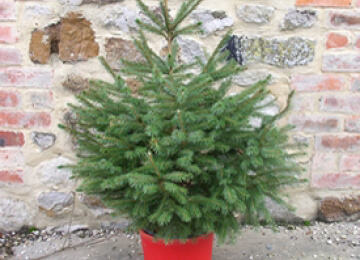 See from our selection of trees below for size and price. Please note, we only sell ours trees at our shop and not online due to delivery reasons. Nordman Fir is a layered tree, with long, glossy, rich green needles that are soft and flexible to the touch with a slivery underside. This variety does not have a strong smell, but has excellent needle retention making it an ideal choice for an indoor Christmas tree. Its natural growth habit is a busy tree that can be as wide as it is tall. Our trees are pruned so that they are full of foliage and uniform in shape resulting in an extremely thick and well layered tree. 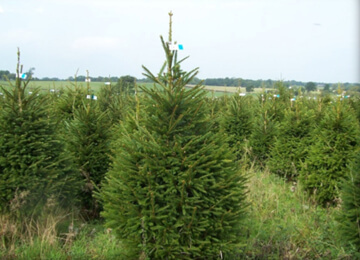 The Fraser Fir has a dense upright growth habit with blue-green, glossy, soft needles that are silver on the underside. The needle retention is very good and it has a lovely citrus aromas. This variety is naturally slim in habit and is ideal for smaller spaces. 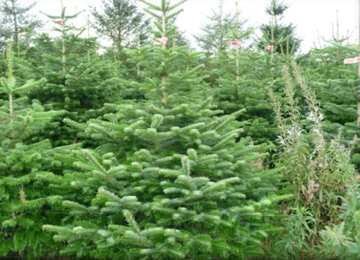 The Fraser Fir is the most popular Christmas tree variety in America and it becoming more and more popular in the UK. This tree has a gorgeous citrus scent, dark green foliage and strong branches. 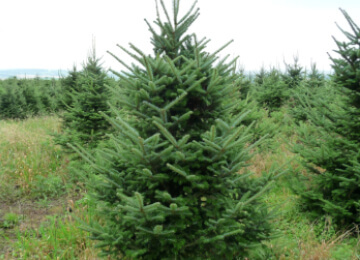 The Fraser Fir tends to grow with a compact, upright habit making it a good choice for smaller rooms. As with other firs, keep well-watered to help retain the needles. 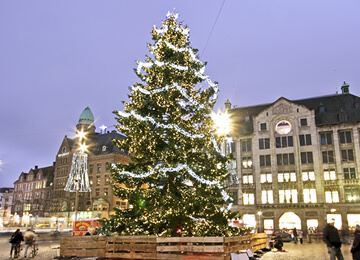 Norway spruce is the traditional Christmas tree that most of us grew up with. Short, thin non-glossy needles that are quite sharp to the touch. The tree has a traditional smell that many people know and love. Strong branches make for easy decorating, although the needles can tend to drop, especially in heated rooms. Keep outside for as long as possible, then bring in to an un-heated or cool room for best needle retention. These trees have been grown in their pots in the ground until they reach the desired size, they are then lifted from the soil with pot still intact so as not to damage the root system and are sold as living trees. During the festive season they should be watered regularly and afterwards, continue this regime to ensure they are given the best possible chance of survival. It’s best to check the soil every day to make sure it’s not drying out. To reduce stress and damage to living trees, display them in a cool room and away from direct heat. After the Christmas season you can then repot in to a bigger container to keep for next Christmas our even plant out in the garden, and watch it grow year after year! Our Cinco range of stands, combine a high water capacity with strength and durability. Quick and easy to position a tree, the adjustable screw fixings safely secure the tree upright and firm. 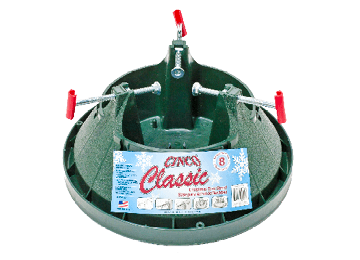 Designed to hold up to two days water supply to keep the tree fresh, Cinco stands have low, wide reservoirs allowing easy access for topping-up. Accommodating a wide range of trunk sizes with little need to trim or remove lower branches allows the tree to remain full and balanced in shape. We also offer an excellent selection of handmade festive wreaths, table centres and garlands to add festive cheer to both inside and outside your home. Small and large wreaths available. 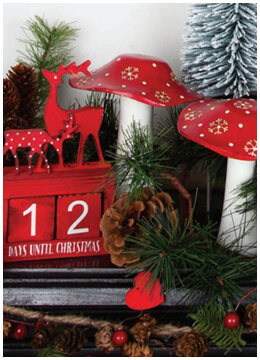 We also have a wide variety of lights, baubles, stands and decorations in our Christmas shop. Everything to make sure your home twinkles and glitters.